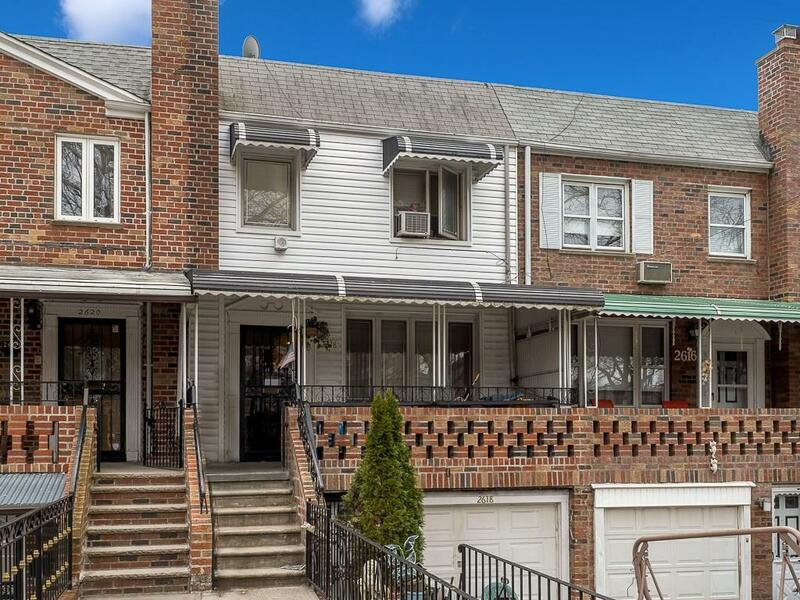 Terrific, 2-story, solid brick, single family home with an attached garage, just coming to market in Sheepshead Bay! This is the classic elevated townhouse so typical of the area, with a cozy front porch and a private driveway, these are the homes that move very quickly! The first floor has a living room, dining room, half bath and kitchen, all leading through and into the backyard. Upstairs are 3 spacious bedrooms and a full bathroom; each of the bedrooms have an abundance of closet space. The basement runs the entire length of the home and is fully finished with two extra large rooms as well as a full bathroom for added convenience. This type of 3-bed, 3-bath brick row-house is just what youâre looking for and in an amazing location, only a block from the lively and bustling area of Avenue U. This great home is sure to please and wonât last! Call today!